The following companies have published my work on their websites. The Rising Tide Society featured our styled shoot collaboration with other wedding vendors. The theme of the shoot was a lovely Southern brunch. 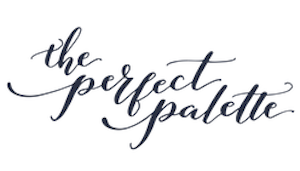 The Perfect Palette featured a romantic styled shoot we partcipated in. The shoot was centered around a bold color palette. We were so happy to coordinate this. 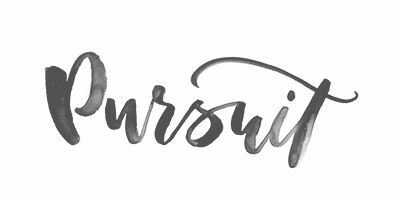 Pursuit featured us on their website. They have images of our work, and links to our social media websites. We are so excited they included us on their website. Coastal Bride featured us on their website in March 2017 for a wedding we coordinated in March. The wedding was a classic Southern wedding in Aiken, South Carolina. The Southeastern Bride featured us on their website for styling and planning for a bridal shoot that was inspired by the changing of the seasons. Junebug Weddings featured a wedding we styled in Fort Valley, Georgia. The wedding featured the couple's love for travel and adventure. Laurel Avenue is so excited to be featured online and in print at some of the great Bridal publications. Check out the great companies that featured our work. In 2016, we coordinated a huge and fabulous wedding in Augusta, GA. Southern Bride Magazine honored our work by publishing a 2-page spread in their magazine about the wedding. We are so happy to be featured in this magazine. Ruffled wrote a feature on the Big Fake Wedding in Atlanta. The inspiration was Indian Summer. We were lucky enough to be the coordinator for the event which featured the vow renewals of Ansley and Kevin, featuring many talented Georgia wedding vendors. This beautiful wedding took place at Foxhall Resort and Sporting Club in Douglasville, Georgia. We were so honored to be a part of this special day. We were so happy to share our expertise with Eight Ray Music about 2017 Wedding Trends. We discussed why we believe 2017 will see increased international travel for wedding celebrations. We are humbled to be published on this website with fellow wedding experts. Brides.com featured us in January 2017 in an article about The Ballet Wedding Trend. We were featured with other wedding venues and discussed how to bring this wedding trend to life. We are so honored to be featured in this article. In February 2017, She Finds featured us in an article about vow mistakes couples make. Check out the article to see what we said about waiting till the last minute to write your vows. The Daily Meal featured us in an articlet titled "25 Top Event Planners Reveal This Spring's Wedding Trends". We discussed how floral prints are becoming a trend in wedding, including in dresses, cake, and other outfits.